Are you already convinced to enroll in the Rosary Confraternity? Jump directly to the signup form. A constant tradition, which, on several occasions, the Popes have solemnly endorsed, tells us that Saint Dominic (+ 1221) instituted the Rosary. The Blessed Dominic (…) himself lived in times similar to our own, when the Alibigensian heresy was ravaging France and Italy, casting a great number of the laity into the blindness of impiety and raging with fury against the clergy and priests of Our Lord. Guided by the example of those who had preceded him in the service of God, and filled with the Holy Ghost, Dominic raised his eyes to Heaven and fixed his gaze on that holy mountain, that is to say on the glorious Virgin Mary, the sublime Mother of God. In begetting Christ, she crushed the head of the Infernal serpent. She alone has destroyed all heresies. By the fruit of her womb, she saved the world from the damnation which the fall of our first parents had merited for us. From this holy mountain without human aid, the stone which is Christ was detached; and the Son of Mary, immolated on the tree of the Cross, let abundant streams of grace flow from His wounds. Full of these thoughts, Saint Dominic then discovered and easy method, accessible to all, a method of imcomparable piety and an excellent way of praying to God and making our supplications to Him. This method is called the Rosary, or the Psalter of the Blessed Virgin Mary. It consists in honoring the Mother of God by offering her the recitation of the Angelic salutation a hundred and fifty times, corresponding to the hundred and fifty psalms of David. Each decade (of ten Hail Marys) is preceded by an Our Father and the decades are accompanied by meditations in the course of which we pass in spirit through the whole life of Our Lord Jesus Christ. Such is the rite in which Saint Dominic created and which propagated in every part of the Roman Church through the intermediacy of his children, the religious of the Order of Friar Preachers. This devotion was gladly received by the faithful. Soon, in the midst of these meditations and these prayers, hearts were inflamed with the ardour of charity; one saw a multitude of people transformed by this devotion; the darkness of heresy vanished, and the light of faith shone forth anew in the world. In order to establish this veneration of Mary in a lasting manner, Confraternities were founded in various places, set up by the religious of the Order of Friar Preachers, who were given authority by their superiors for this purpose, and many people were received as members of these Confraternities. The name of this devotion: The ‘Rosary’, or ‘Mary’s Psalter’. Its matter: that is, the hundred and fifty Angelic salutations and fifteen Our Fathers, recited in a particular order and in decades. Its form (in the scholastic sense of the word, that is, what determines a thing’s specific nature): the meditation on the mysteries of the life of Our Lord Jesus Christ. Its qualities: This devotion is an easy method, accessible to everybody, has an admirable piety, and is an excellent way of praying to God and of honoring Mary. Its author: Saint Dominic, who through divine inspiration, thought of this treasure. Its ministers or promoters: the Friar Preachers, who have spread this devotion in every part of the Roman Church. Its method of propagation: that is, its lasting extension through the Confraternities instituted with the assistance of the Friar Preachers. And finally, the effects or the object of this devotion: to inflame hearts through meditation on the mysteries of the life of Christ, to enlighten minds through the clarity of the Faith, to revive in souls, Catholic beliefs and virtues, to dispel the darkness of error, and to cause the splendors of revealed truth to shine forth in the world with a new brilliance. The Rosary has also a powerful efficacy of sanctification: it is a school of prayer of virtue and of Catholic holiness. What the Rosary has been and has done in the past, it should continue to be and to do in our own day. This depends on each and every one of us. In this time of apostasy in which we live, it is necessary for us also to fix our gaze on the Mother of God – the holy mountain – and to be filled with the thoughts which inspired Saint Dominic and Saint Pius V. Our Lady, through Jesus, the Fruit of her womb, has received eternally the power to crush the head of the Serpent, the Prince of this world. In consequence of this, it her wish that what she accomplished in the 13th century in exterminating the Albigensian heresy through the intermediacy of Saint Dominic, and what she did in the 16th century in restraining Protestantism and destroying the Turkish threat through the agency of Saint Pius V, she still desires to continue, so as to annihilate the heresy of neo-modernism and the paganism of our time. She wishes to do this and she certainly will do this – through the same one and only means of the holy Rosary. One must be profoundly convinced of this fundamental truth because it determines all our faith in the Rosary. 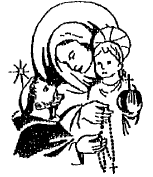 The Rosary Confraternity is an association intended to spread widely the devotion of the Rosary. It is very old – one of the first confraternities was established in Valencia in 1221, the year of Saint Dominic’s death. It is very rich in spiritual favors, and in various privileges which the Popes have constantly granted to it. 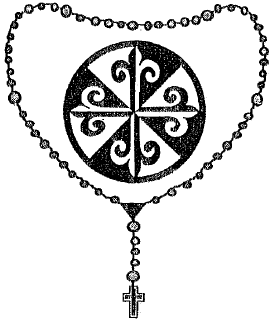 The Confraternity of the Most Holy Rosary was instituted with the object of encouraging a great number of men, united through fraternal charity, to praise and to pray to the Blessed Virgin Mary, and to obtain her protection through praying with one accord, using the very pious prayer formula from which the association has taken its name. And that is why, without seeking any gain, without asking payment, the Confraternity accepts men of every condition and establishes no other bond between them than that of the recitation of Mary’s Rosary. That is how it comes about that everyone, through bringing only a little to the common treasury, draws much from it… Every member who follows the rules of the Confraternity, and who accomplishes the recitation of the Rosary, joins in the intention all the members of the society, who render to him, many times over, the same charitable office. The Rosary Confraternity is thus a real mutuality of prayers and good works. 1. To be enrolled by a Dominican Father (or an authorized priest) in the register of a Confraternity. It is essential that the applicant should provide his baptismal name (the forename) and (for reasons of practical convenience) his legal identity. Everyone (so long as they are baptized) can be admitted, even children if they have attained the age of reason and are capable of reciting the Rosary. However, one cannot enroll somebody against his will, nor can one enroll a person who is dead. 2. To meditate the complete Rosary of fifteen decades (the three series of mysteries) every week. Obviously, one can divide up the Rosary by reciting five decades at a time, or one can even say one decade at a time. It is strongly recommended that one should follow the custom of reciting the Joyful Mysteries on Mondays and Thursdays; the Sorrowful Mysteries on Tuesdays and Fridays; and the Glorious mysteries on Wednesdays, Saturdays, and Sundays. This obligation of praying the full fifteen decades each week certainly does not prevent us from praying the full fifteen decades of the Rosary each day. This practice of praying the fifteen decades daily is even the ideal, and is recommended that we should aim for this, little by little, so far as it is possible. 3. To possess a set of Rosary beads which has been blessed by a Dominican Father (or a priest with a power to do this) using the form of blessing which is specially reserved to the Order of Friar Preachers. The recitation of the Rosary with beads blessed in this way (and it is desirable to carry them with one always) adds special graces and privileges granted by the Popes since Benedict XIII. However, if this last point cannot be adhered to, membership in the Confraternity and the gaining of indulgences associated with it (except for those attached the Rosary beads with Dominican blessing) are not prevented. 1. A growing love Our Lady and her very special protection. As Saint Bernard says: “He who is devoted to Mary will not perish.” Likewise Saint Louis-Marie Grignion de Montfort, in his Treatise on the True Devotion to the Blessed Virgin and in his little work The Secret of Mary, has explained how the true devotion to the Blessed Virgin is a very quick, easy, direct and sure means of being saved, of being sanctified, and of bringing back many souls. Thus, membership in the Rosary Confraternity, through the obligations that one undertakes, through the presence of other members and the graces that are obtained, encourages that true devotion and causes the love of Mary to grow stronger. 2. And abundant participation in the spiritual benefits of all. As we read above in the words of Leo XIII, each member “though only bringing a little to the common treasury, draws much from it.” Why? Because this treasury is immensely rich and is common to all by virtue of the mystery of the communion of the saints. The Rosary and the merits of each thus become the treasury of all. Moreover, the members of the Rosary Confraternity, during their lives and after their deaths, enjoy a special participation in the prayers, Masses, penances and good works of all the past and present members of the great Dominican family. In this way they benefit equally from a multitude of saintly protectors. Father Faber called the Rosary “the queen of indulgenced devotions.” This ought especially to be understood and applying to the Rosary Confraternity which more than thirty Popes have endowed with indulgences. These indulgences can be gained for oneself, or for the souls in Purgatory. The plenary indulgence, if it is gained in full (which depends on the dispositions of our soul, according to whether we are, or are not, purified from all venial sin and completely free of all attachment to sin), remits all temporal punishment still owed by a soul in the state of grace, whether living on this earth or detained in Purgatory. The partial indulgence (and the plenary indulgence which is not gained in full) remits only a part of this punishment. The main list of indulgences of the Rosary Confraternity is found in Pope Leo XIII’s Constitution Diuturni temporis, published on September 5, 1898. Since then, a few more indulgences have been added by the Popes. A plenary indulgence once a year if one recites five decades with devotion, using a set of rosary beads with the Dominican blessing, on condition that one goes to Confession and receives Communion. A plenary indulgence each time one recites five decades with devotion before the Blessed Sacrament exposed (or present in the tabernacle), on condition that one goes to Confession and receives Communion. A plenary indulgence each month, on the last Sunday of the month, to those who recite the five decades together, at least three times a week, on condition of visiting a church that same Sunday, and of praying for the intentions of the Sovereign Pontiff and of approaching the Sacraments of Penance and the Eucharist. Two plenary indulgences on admission to the Confraternity. They can be gained either on the day of admission itself or on the Sunday or feast-day which follows. The first indulgence requires Confession and Communion as conditions. The second requires that the new member communicates in the church or chapel of the Confraternity, that he recites five decades of the Rosary, and that he prays for the intentions of the Sovereign Pontiff. A plenary indulgence each day for members of the Confraternity who say the full fifteen decades of the Rosary within the space of twenty-four hours, provided that they visit a public church or oratory. A plenary indulgence every day if, in the course of that day, one recites the full fifteen decades of the Rosary for the triumph of the Church over her enemies. One may separate the decades, but Communion and a visit to a public church or chapel are required (Pope St. Pius X, June 12, 1907). 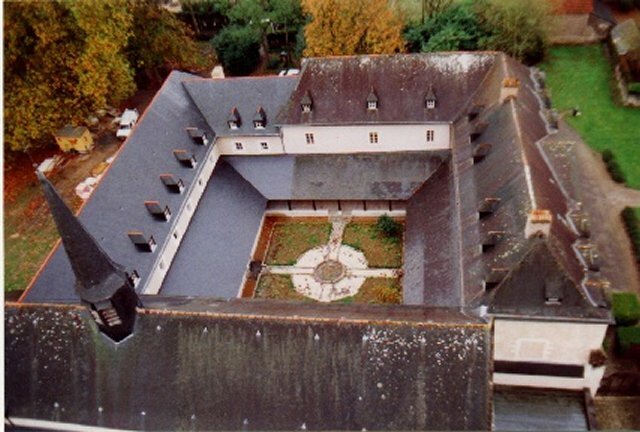 Three plenary indulgences, on the first Sunday of each month, if the members of the Confraternity take part in the procession of the Rosary, and / or if they visit the chapel of the Rosary and pray for the intentions of the Sovereign Pontiff; or if they spend some time in adoration before the Blessed Sacrament exposed and pray for the intentions of the Sovereign Pontiff. A plenary indulgence on October 7, if the members of the Confraternity (and other members of the faithful), having been to Confession and received Communion in memory of the victory of Lepanto brought about through Mary’s intercession, visit the chapel of the Rosary and pray there for the intentions of the Sovereign Pontiff. 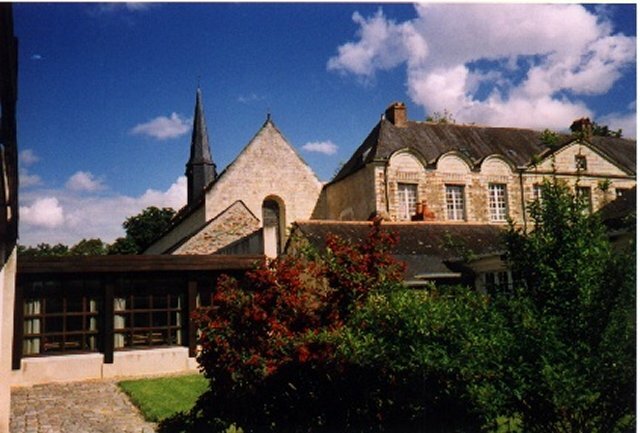 This indulgence can be gained each time – toties quoties - that they visit this chapel from First Vespers on the eve of the Feast to sunset on the Feast. A plenary indulgence at the point of death if the member receives the sacraments of Penance and the Eucharist, or if he invokes the Holy Name of Jesus, at least in his heart if he is unable to do so with his mouth, or, if fortified by the Sacraments and professing the faith of the Roman Church, he recites the Salve Regina and recommends himself to the Most Blessed Virgin. For visiting a member of the Confraternity who is ill, etc. Confession and Communion, if they are called for, may be made the day before (or, for Confession, in the eight hours beforehand), and during the whole octave which follows. Moreover, those who communicate every day, or almost every day, and who go to Confession at least twice a month, are not obliged to go to Confession once more in order to gain the indulgences. the other goods of the Christian peoples, etc. When one is required to visit a church and to pray there for the intentions of the Sovereign Pontiff, prayers prescribed are: the Apostles Creed, and in some cases, the Pater (Our Father…), Ave Maria (Hail Mary…), and Gloria Patri (Glory be…) (which can all be said in English). Outside of these cases, the prayers for the intentions of the Sovereign Pontiff consist of the Pater, Ave Maria, and Gloria Patri, said six times. Concerning visits to be made to the chapel or altar of the Rosary in order to pray there: if this is not possible, one may ask one’s Confessor to change this condition for another work of devotion. It should be noted that it is not necessary to know the details of all these graces and indulgences in order to benefit from them. Firstly; she stated that the devil is engaged in the decisive battle, that is to say, the final battle, from which one of the two will emerge the victor or the vanquished: either we are with God or we are with the devil. The second time, she repeated to me that the ultimate remedies given to the world are: the holy Rosary and devotion to the Immaculate Heart of Mary. The ultimate signifies that there will be no others. The third time, she told me that the other means, scorned by men, having been exhausted, she gives us in trepidation the last anchor of salvation which is the Blessed Virgin in person. The Lady said again that if we do not listen and we still offend, we will no more be forgiven. Father (Lucy said to me), we must urgently take heed of the terrible reality. We don’t want to frighten souls, but this is an urgent appeal to reality. Since the Most Blessed Virgin has given so great a power to the Rosary, no problem exists, material or spiritual, national or international, which cannot be resolved by the Holy Rosary and by our sacrifices. To recite the Rosary with love and devotion will allow us to console Mary and wipe away the many, many tears of her Immaculate Heart. The Rosary is yours, it is your own property, a sacred and inalienable heritage; consequently you have a special mission to share this boon with others, to make all the world participants in this treasure entrusted to your care. In the present evils of the Church [ what could we say today! –Editor ] I consider nothing better nor more opportune than to recommend and to promote this manner of prayer. Let all the children of Saint Dominic rise up for the fight and let them, like mighty warriors, be prepared to use in the battle the weapons with which their blessed Father, with so much foresight, armed them. This is what they have to do: Let them plant everywhere the Rosary of the Blessed Virgin Mary; let them propagate and cultivate it with fervor; through their assiduous care may the nations be enrolled in these holy militias where the ensigns of the Rosary shine; may the faithful learn to avail themselves of this weapon, to use it frequently; may they be instructed in the benefits, graces, privileges of this devotion.